Our postcard this week offers a glimpse into the distant past, with prehistoric images in the Kazakh region of Almaty. Stunning rock carvings or petroglyphs can be found at Tanbaly (sometimes written as Tamgaly), about 170 kilometres northwest of Almaty city. Euronews’ Seamus Kearney reported: “More than 5,000 different petroglyphs were discovered by an archaeological team in 1957. 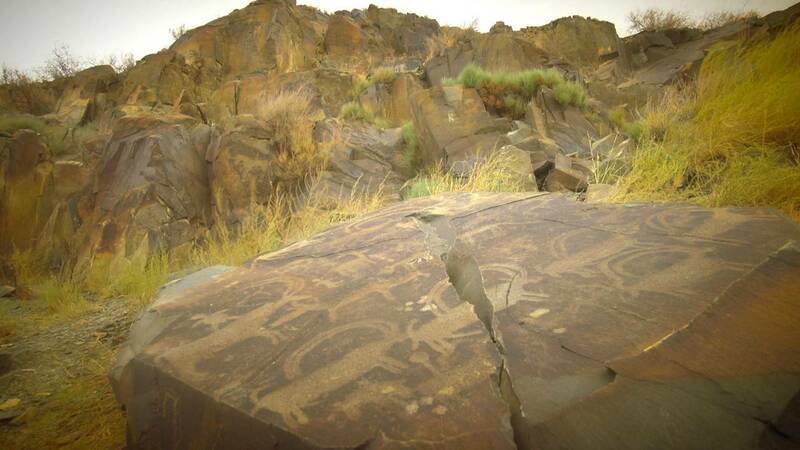 Rinat Sharipov, a Tanbaly petroglyphs researcher, told Postcards: “Generally we can see petroglyphs with images of animals and people with heads that resemble the sun. The sacred images – together with altars, cult locations and burial grounds – are testament to the ancient way of life on the steppes of Central Asia.